Contour GPS HD Camera – Best For Motor Sports?! The compact yet fully functional Hoyt MSR-200 HD motorsports camera was designed to be the first POV camera especially for on-board and in-board motorsport filming from the Hoyt Tech company. MSR 200 motorsport - Nice LCD screen! At first sight, the Hoyt MSR-200 might look a little plain from the design of the outer body, but don’t let first appearances fool you! This little palm-size action camera packs a heavy punch when you look at all the quality features and accessories you get with it right out of the box – and for the price it might be the best value sports action camera on the market at a mere $289.99. 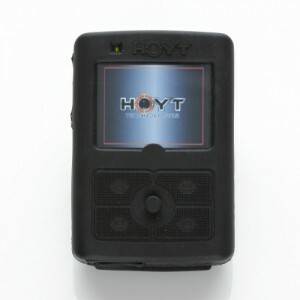 Not only does the Hoyt MSR-200 stand up to competitors’ prettier HD action cameras (e.g. 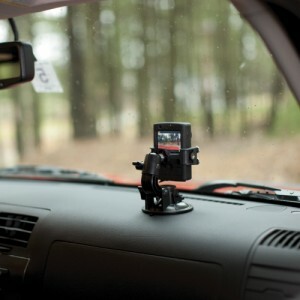 GoPro, Drift, Contour) in professional HD filming features… it’s much smaller, lighter and costs significantly less. Whether you stick it on your car, go kart, on your helmet or on your bike as you tear around the track, this beauty will capture your footage in perfect 720p HD quality and not get in the way or weigh you down. It will accept a 32GB memory card which will record a whopping 12 hours of uninterrupted clear HD footage. The size is remarkably small and is the lightest of all it’s competitors weighing in at just 5.4oz / 154 grams. That’s about the same as a chocolate bar. Starting and stopping recording is a breeze with the remote control. That really makes life easier – and saves unwanted footage and battery power. How about still shots? No problem. This puppy takes 3MP, 5MP and 8MP still photographs and has 2x digital zoom. The sturdy case is weather proof so mounting it on the outside of your car or bike and going through rough terrain, water or dirty air is not going to harm it. And the glass lens cover is replaceable in case rocks or debris crack or scratch it. On the subject of the lens, you can capture a nice wide 110 degrees which is wide enough to catch all your driving skills on the screen. Battery power can last up to an incredible 2 hours of recording thanks to it’s internal and rechargeable Li-Ion battery. Li-Ion batteries works well in cold temperatures compared to alkaline batteries. Another top feature that I must mention is that there is a 2.4 inch display monitor built-in to the compact body! They really do fit everything you want into this little camera. On the dash for real driving experience videos! When you buy the MRS-200, you get all the cables you need to transfer the files to your computer and to recharge the battery. And did I mention you can start and stop recording with the included remote control? Other: 64MB flash internal memory, accepts 32GB SD/SDHC card, remote control, embedded software for easy Youtube uploading. If you’re looking for a budget HD action camera and are looking for an amazing HD motorsport camera to put inside or outside your car, the MSR-200 from Hoyt Tech will give you the performance you want. 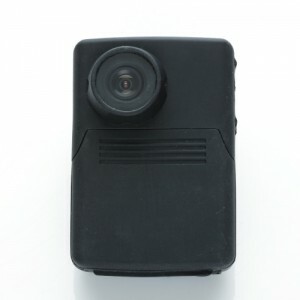 You can grab your MSR-200 HD action camera package which includes all the stuff in the picture above from pointofviewcameras.com at a $60 discount – making this one of the cheapest compact HD action camera package on the market today with just about everything you want. 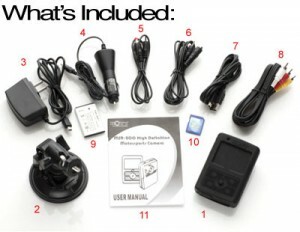 Comes with wired remote, suction mount and 2GB SD card. Free Shipping to US and Canada. Price includes a Free Filming Guide.